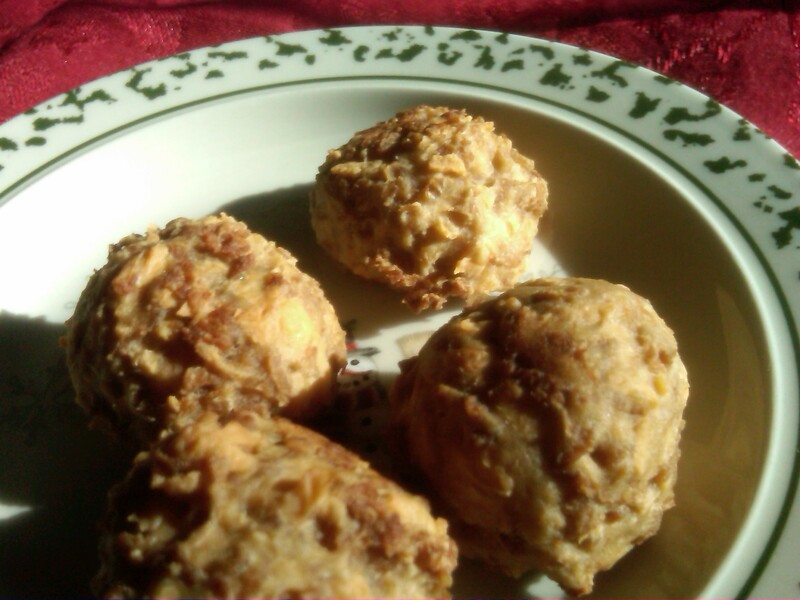 Vegan “Sausage” Balls – Health Freaxs Unite! Some love this time of year for that winter chill. The cold is awesome! If it isn’t below 50, I’m not buyin it. Some like the holidays for the uncomfortable sweaters knitted by family members…..yeah. Um. I’m gonna go ahead and skip that tradition, thanks. I’m in it to win it! I’m here for the food. For something so deliciously vegan that it will make the omnivores green with envy! 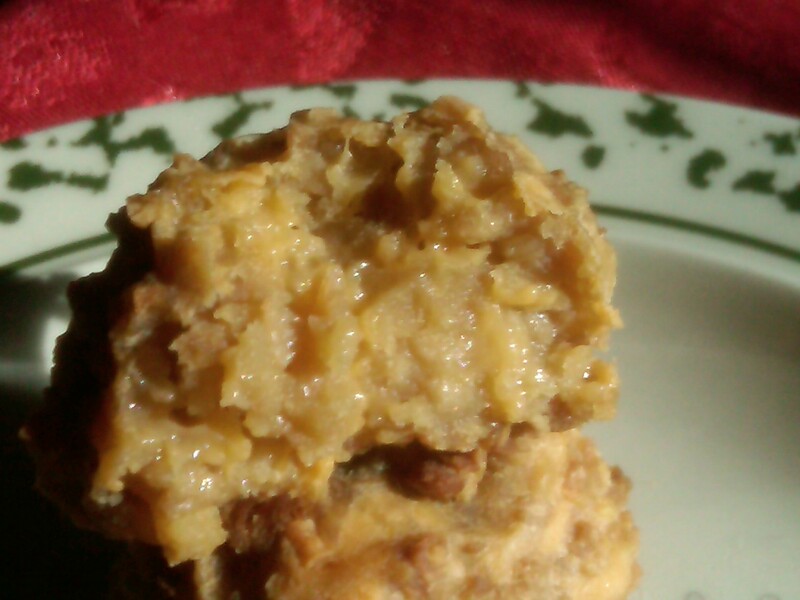 An old recipe that has been past down through my southern family is sausage balls. Its been made for Christmas breakfast for years and years. But with my vegan conversion since last holidays, I can’t exactly have the ol’ traditional holiday breakfast food. Or can I? That’s the wonderful thing about creativity. You start with an idea, and end up throwing a bunch of stuff together and having it tastes like sausage balls! So after some experimentation and many unworthy batches, I give you vegan sausage balls! Take that Paula Dean! -Preheat the oven to 375 degrees F. Spray a baking sheet with vegetable oil cooking spray. -Combine all ingredients in a large glass bowl. Mix well with your fingers. 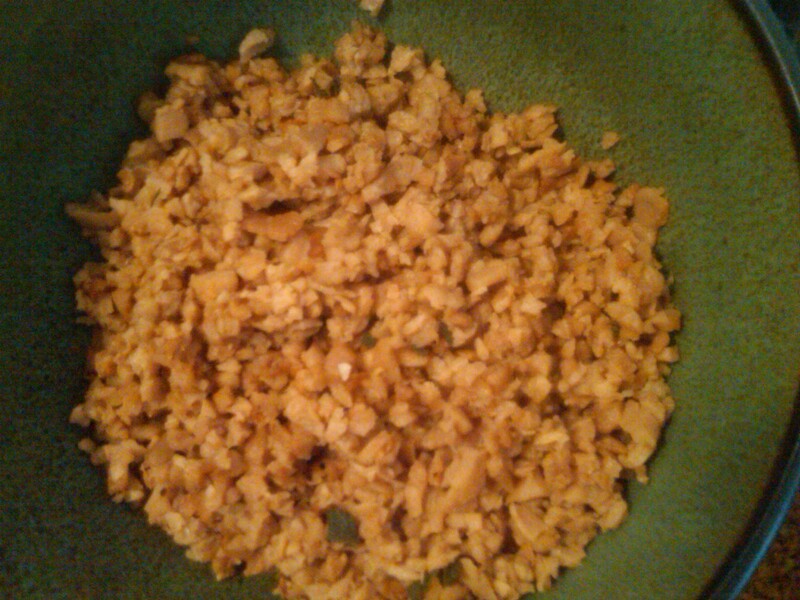 The mixture will be very crumbly. -Form into 1 inch balls, squeezing the mixture so it holds together, then rolling it between the palms of your hands to form balls. 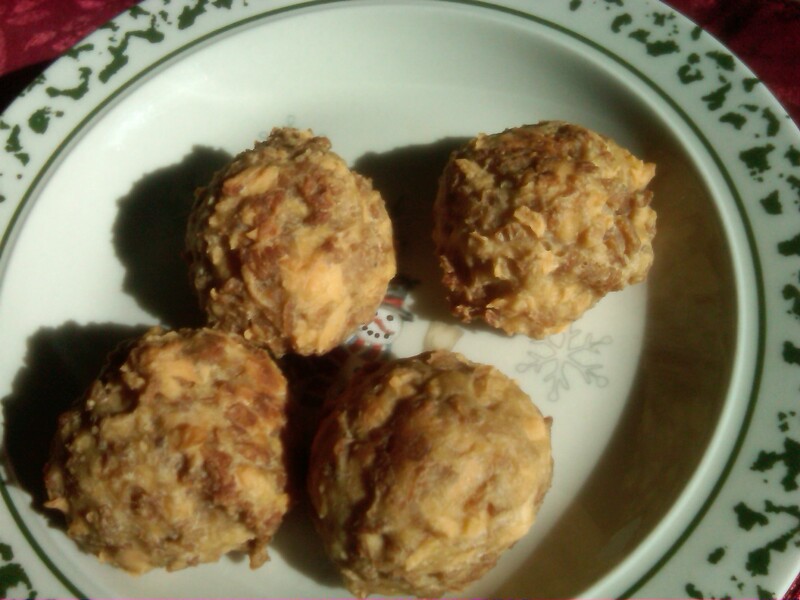 -Place the balls on the baking sheet and bake for 18 to 20 minutes or until golden brown. Tip: To prevent sticking, move the balls with a spatula halfway through cooking. -Mix your tamari, sage, thyme, black pepper, and cayenne pepper in a bowl. Add the TVP. -Pour your liquid smoke into 1 3/4 c. water and microwave it on high for 3 minutes. Pour it into your bowl. -Mix everything together until it resembles the constancy of ground “meat“. I am not one for fake meats and such, but this stuff is delicious! So now this Christmas, i can eat along with the family with all my veganess included! Who knows? With so many of these tasty little buggers, I might just share! Not to mention with whole wheat flour instead of bisquick, this stuff is a whole lot healthier for you too! What holiday recipes have been passed down in your family?